I have to tell you all that I am seriously and completely amazed by all of you who link up every week! You are one talented group of ladies! Thank you for inspiring me so much. 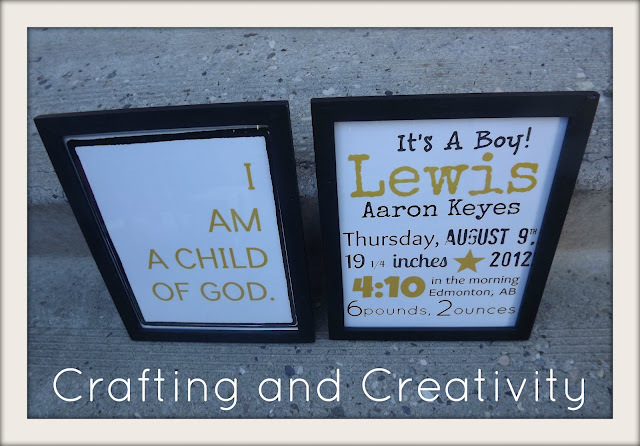 Each week my crafty bucket list gets longer and longer! 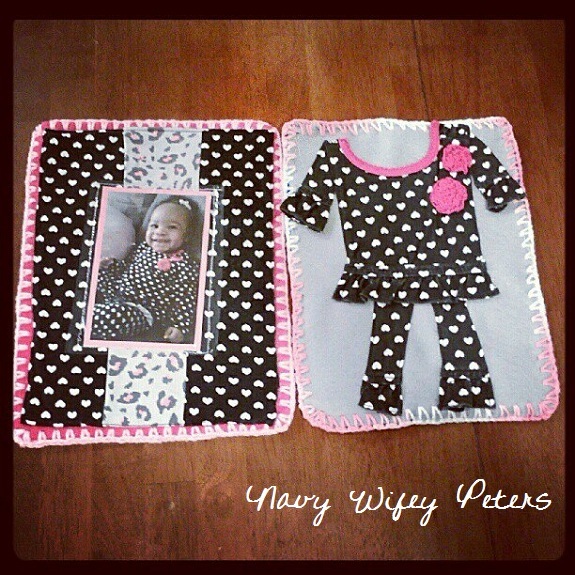 This Baby Clothes Photo Album that Navy Wifey Peters shared is pure genius! I wish I could go back in time and do this with my daughter! LOVE!!! 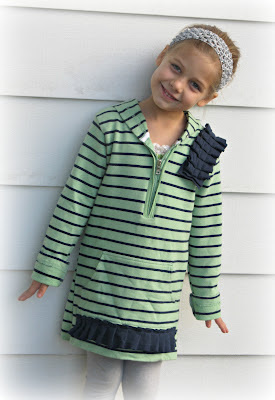 Can you believe that this cute dress that Snippets of My Family shared is made from a woman’s sweatshirt? I love re-fashion! 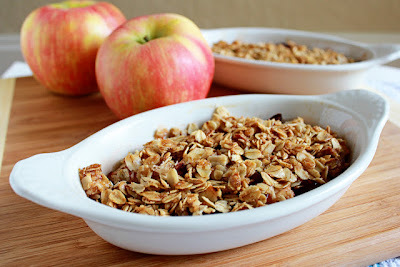 This Cranberry Apple Crisp that It Bakes Me Happy shared looks delish!! I’m SO making this soon! This cute Petal Dress that Crafty Biggers shared deserves an award for being so cute! 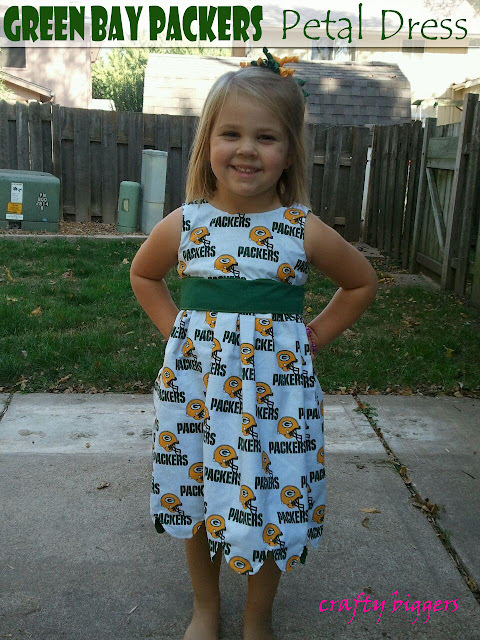 And because it’s a Green Bay Packers dress! Truth be told – I don’t watch a ton of football (I don’t ever have time!) but my hubby is a HUGE Packers fan! I bought him one share of stock for Christmas last year. I don’t think he’ll ever leave me because I put both of our name on it. Yep. We’re bonded together in love sealed with Packer’s stock. These Giant Floor Pillows that Mandy Made are SUPER cool!! I thin I need at least 5 of these stat! 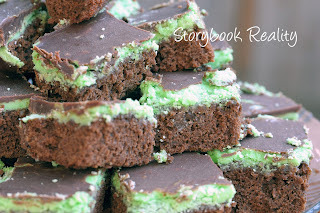 If you’re looking for a non-fall related recipe, these Creme de Menthe Brownies that Storybook Reality shared look heavenly! I’m a huge sucker for kid birthday parties. I love, love this Art Party that One Thrifty Chick shared. You’ll have to click over to see all of the details. It’s adorable!! 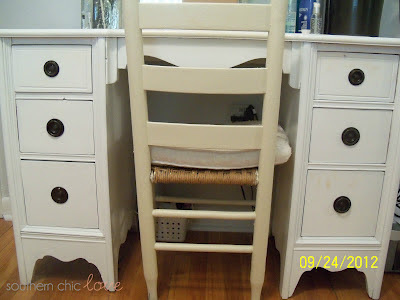 I love this Upcycled Desk turned into a Vanity that Southern Chic Love shared. This project completely pulled at my heartstrings. I have very vivid memories of my sweet grandmother sitting at her vanity “putting” up her hair. And last, but certainly not least, I love this Baby Subway art from Crafting and Creativity. I’m tempted to add one to each of my kid’s rooms even though they’re all growing up! Too cute!! Thanks for the feature! I’m not much of a sports person but my sister is sure obsessed with the Packers. Thank you for the feature! :) Love looking at all the talent each week! 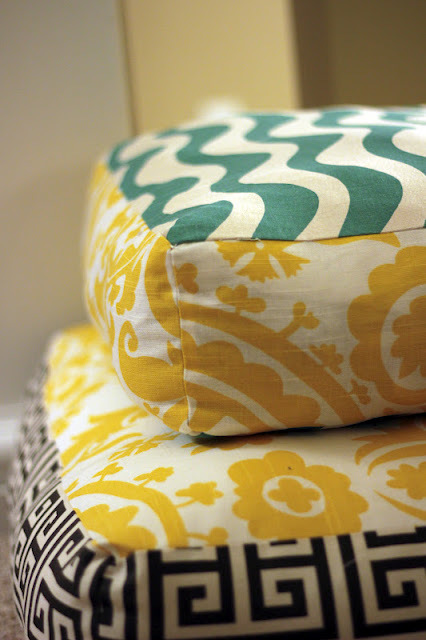 Thank you so much for featuring my floor pillows! !